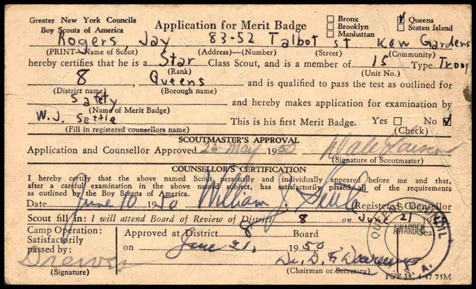 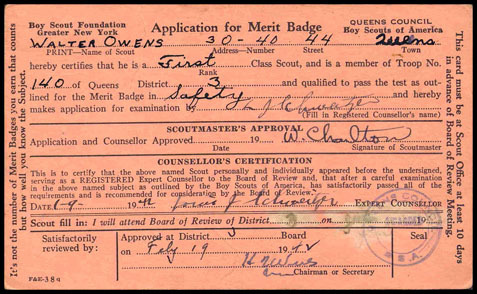 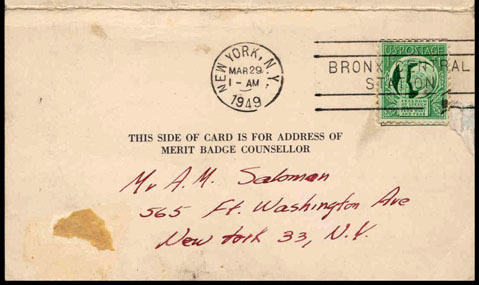 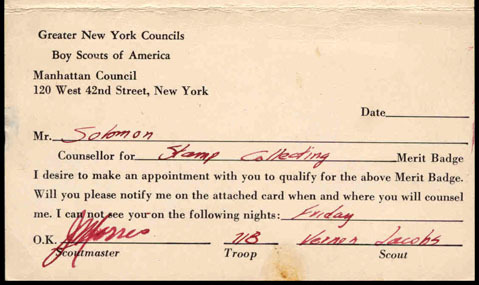 In the past, Scouts were responsible for making arrangements with merit badge counselors themselves. 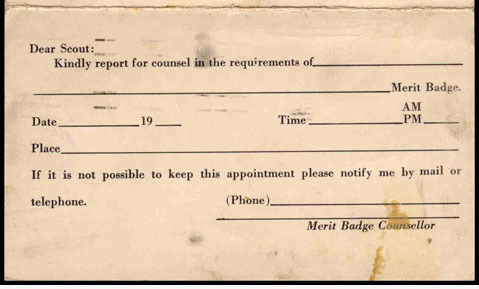 Arrangements included the preparation of both appointment & application cards, some of these being designed for mailing. 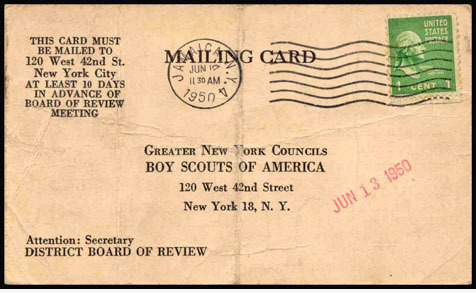 However, mailing was not required and the majority never were. 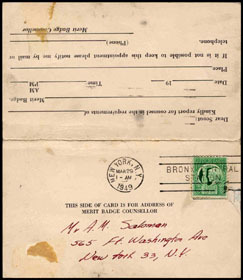 The response card was neither used nor mailed and remains attached. 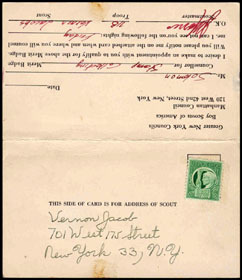 Both cards, front & back, shown to left. 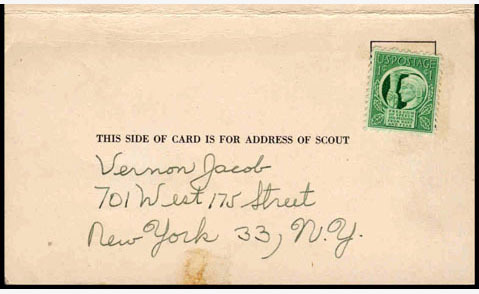 Both sides of the complete open card shown to right. 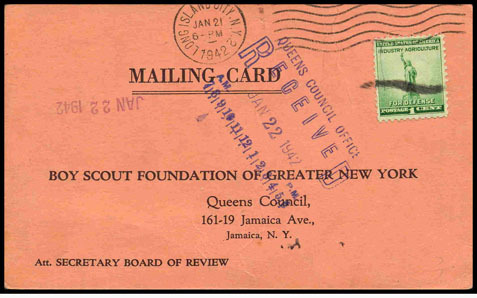 Greater New York Councils, Manhattan Council.